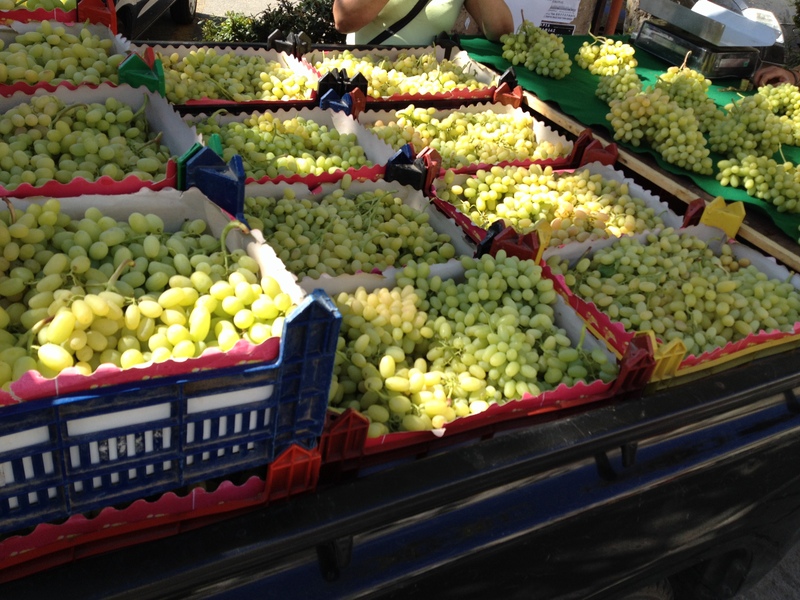 These grapes cost 1 Euro a kilo, which is almost free. and they were amazing, sweet, local, seasonal and brought into down on the back of a pickup truck. 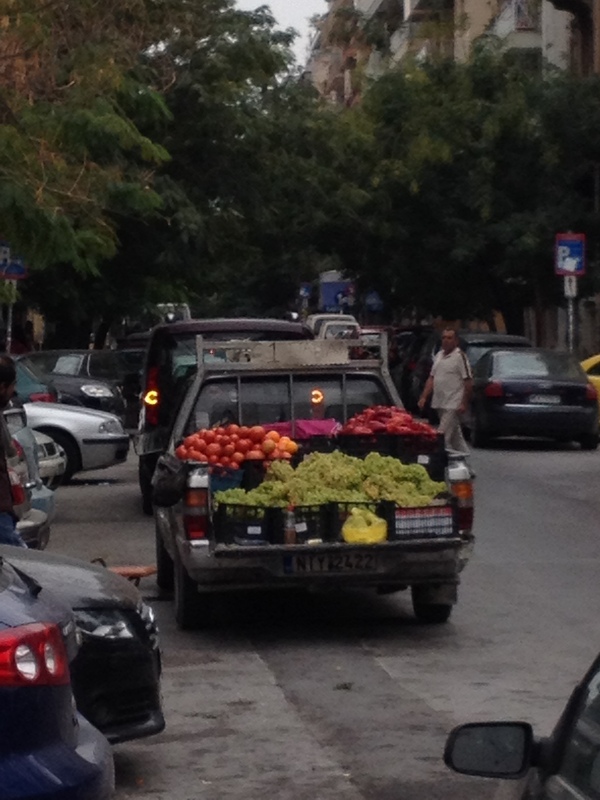 Turns out this is a thing in Thessaloniki as during our week there I saw several trucks parked in seemingly random places selling produce. Love that! 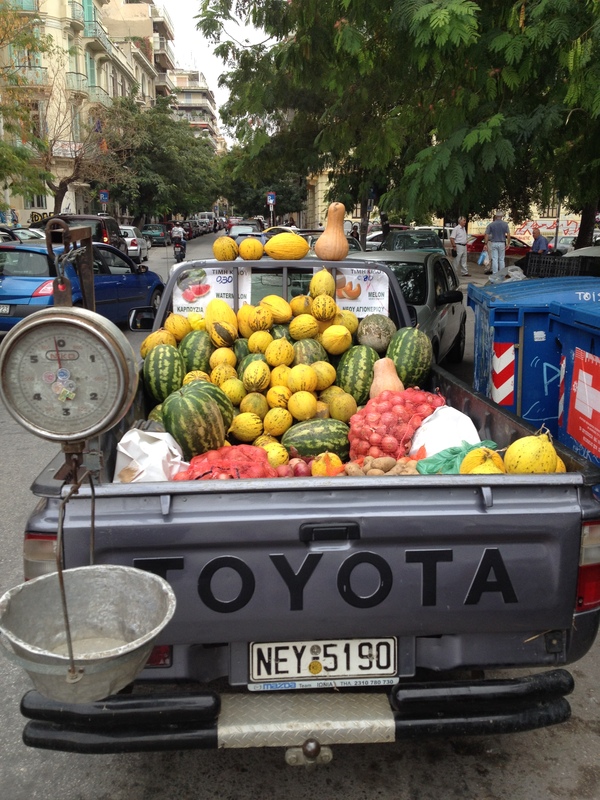 This entry was posted in Travel and tagged farmers, fruit in trucks, grapes in the back of a truck, Greece, Thessaloniki. Bookmark the permalink. The yellow melons look very tempting. Crenshaw-like. it’s grape season in greece, you won’t find many trucks during wintertime carrying vegetables and fruit, but chestnuts and other nuts are a common sight! hope you enjoyed your stay! Thanks I had a great time!